“Angela” became my patient when she was only a year old. loud piercing screams. No matter how hard we all tried to reassure her, we were far from the best of friends. Then one day, months later, there were no screams. Instead she sat nervously next to her mother and peeped at me with her beautiful doe eyes. To my surprise and joy, she slowly walked towards me, tugged at my dress, and then climbed onto my lap. Maybe we could be best friends after all. Now she gives me a big hug during each office visit, and even sits on my lap while I examine her. We often talk and laugh about the old days, and I see that beautiful smile again and again. So what about tubes? …Indeed a very common procedure throughout the United States. 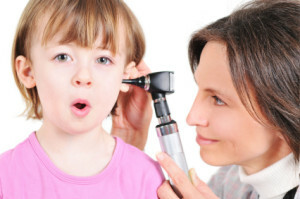 It is performed for recurring middle ear infections, persistent middle ear fluid and hearing loss, Eustachian Tube dysfunction, acute Mastoiditis, and sometimes a severe acute middle ear infection that is not responsive to medication. Adults can have the procedure under local anesthesia in the office, although a general anesthetic is used for infants and children. 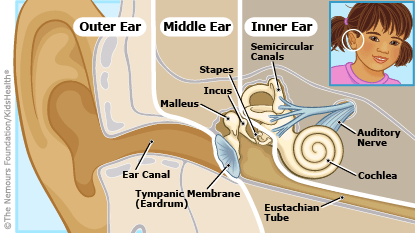 A tiny incision is made in the ear membrane and a cylindrical tiny tube gently inserted. Air replaces fluid in the middle ear and hearing improves. Recovery is quick with minimal post operative discomfort. Patients are followed in the office every 4-6months and tubes will often spontaneously extrude within 6 to 18 months.